What is happening with The Bakken Oil Rush Ministry. 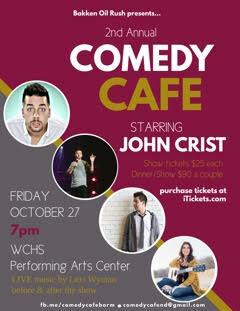 We have a exciting event coming to Watford City, ND September 17th, (Saturday).Comedy Cafe featuring world renowned comedian, Jeff Allen is this years’ featured premier act. 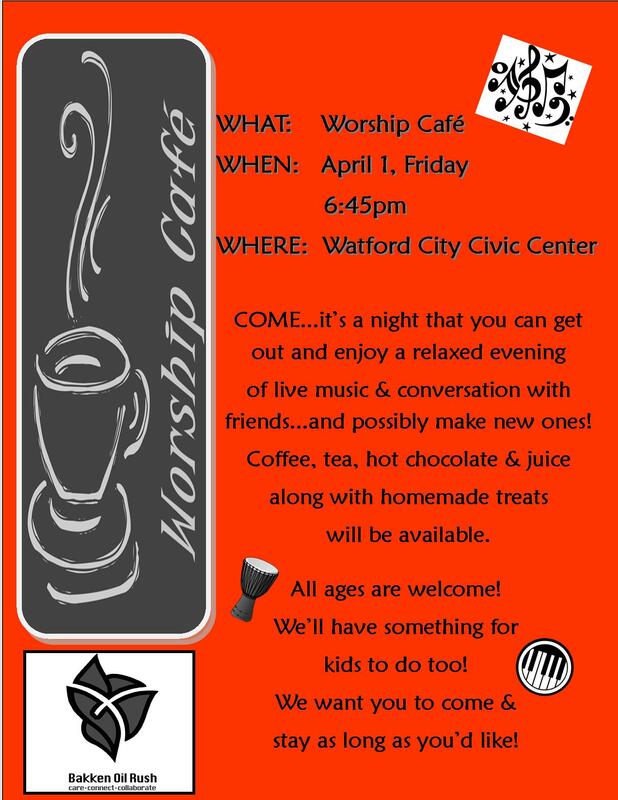 Come for a great night and support our local Watford City ministry. Click herehttps://www.eventbrite.com/e/jeff-allen-comedy-cafe-tickets…, to buy your tickets. To get a preview of what Jeff Allen does, go to: https://www.youtube.com/watch? This is a clip about returning to school…it’s that time of year! Come support our ministry and have a most enjoyable evening at the same time! Starbucks coffee ande cheesecake will be served after the event. 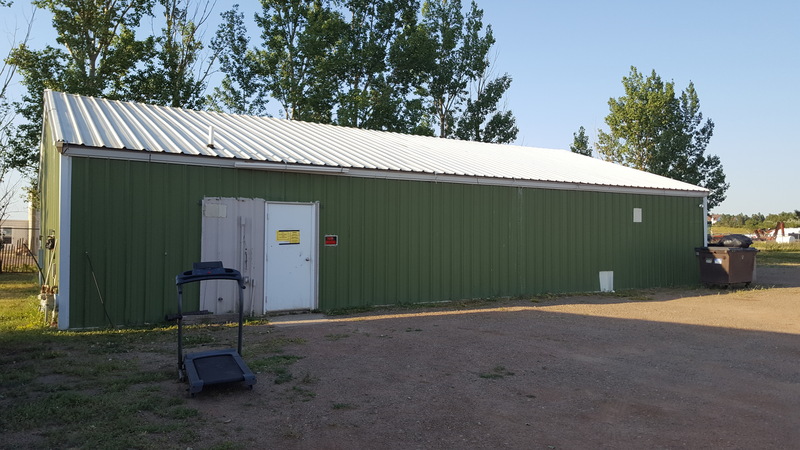 We are in the new building shown in the first picture, and are in the process of getting it set up and stocked from the supplies we have. You will see from pictures two and three that we have a lot of work ahead of us! 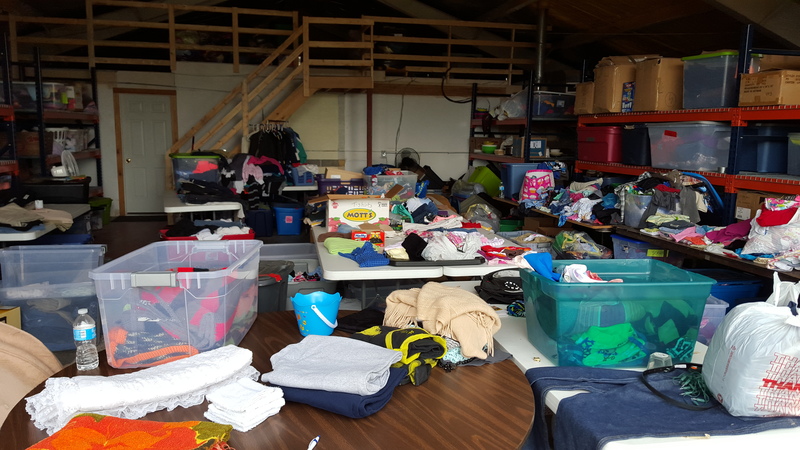 We are reaching out to our volunteers and others to help with a major sorting event next week! We will be sorting Monday Thru Wednesday, July 11th thru the 13th from 10 am to 8 pm. Please come when you can and leave when you must. We have lots of bags and boxes to sort. Initially, we will sort summer from winter and then attack each season after that. We will have good instructions and we always manage to have fun in the process! 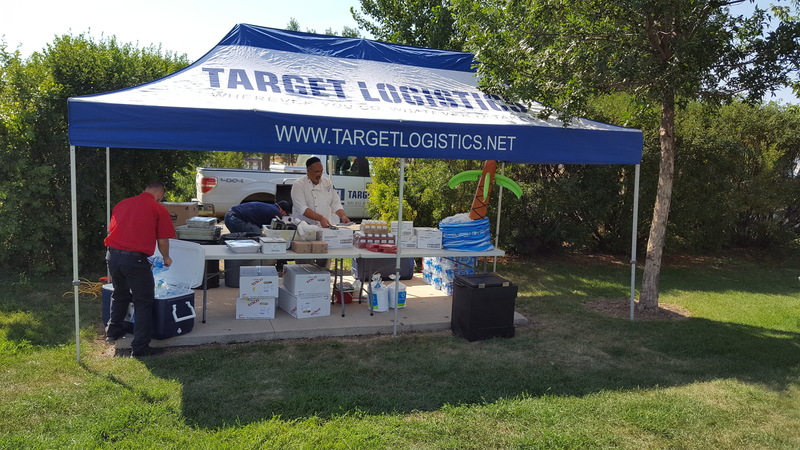 We will have cold drinks and will have food for those who work over meal-times. Location: we are at our new building which is located north of the airport. Go east from Carquest until you get to the stoplights. Take a left. We are the third building on the right (green in a chain-linked fence). 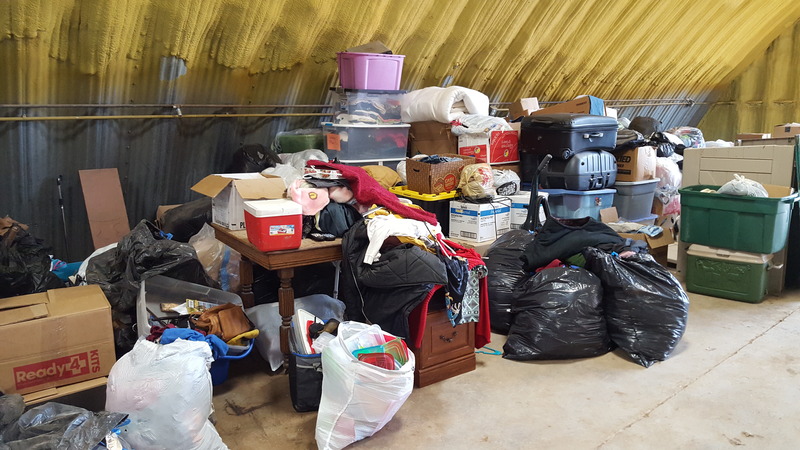 If you can send us a quick note when you may be able to help so we can plan for food and setup for sorting. 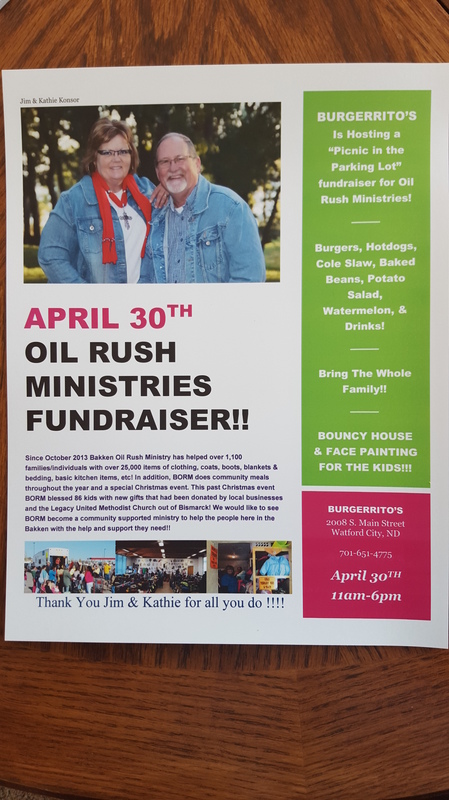 We’re excited to announce that a fundraiser to help Bakken Oil Rush Ministry is taking place this Saturday, April 30th at Burgerrito’s restaurant in Watford City. This is being put on and sponsored by the restaurant and the Chamber of Commerce. The meal will consist of hotdogs, burgers, potato salad, beans, watermelon and drinks. There will be a bouncy house and face painting for the kids. 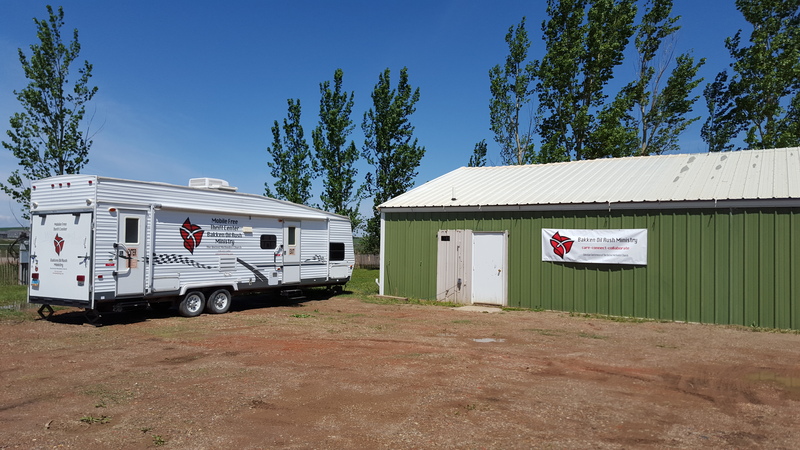 We will do some live music during the event and will also have our Thrift Trailer set up for people who would like to tour the unit. There will also be a silent auction at this event. Please come and tell a friend. Time: 11 am to 6 pm. Location: Burgerrito’s restaurant, south of town a mile or so, on the left, (coming south from town). 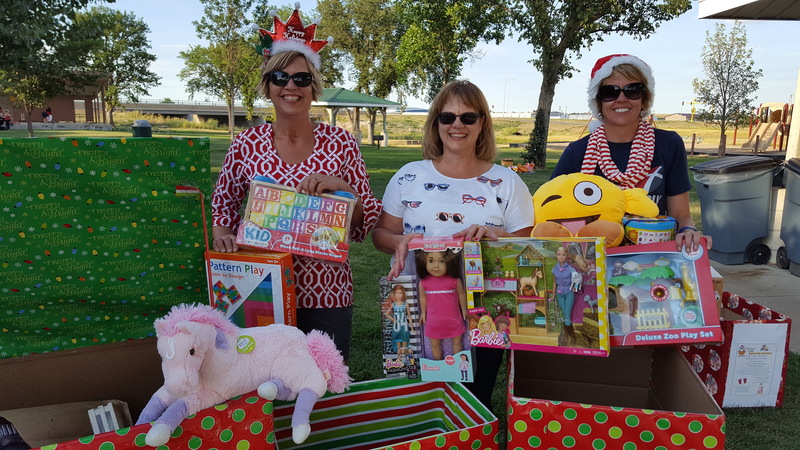 Today’s article in the McKenzie County Farmer tells our story! Bakken Oil Rush Ministry is approaching a financial deadline. The attached newspaper article tells our story in a nutshell. It’s easier to attach than re-write it out. Please pass it on to family and friends that would be interested in what we do here in the Bakken and may be willing to help support this ministry.